This past week has shown dozens of prominent hip hop releases, from hip hop heavyweights to rising stars. Here are the ones that caught my attention, starting with Young Thug’s latest effort. Young Thug has had a turbulent couple of weeks leading up to the release of his latest effort, On the Rvn. It all started with the release of Slime Language, a collaborative compilation album featuring the colorful members of his label Young Stoner Life. This compilation project received universal praise and brought much attention to the Georgia rapper. He was subsequently arrested in LA for drug and gun possession at his album release party, something Thug is unfortunately used to. A week later, a warrant was put out for Young Thug in Georgia claiming that he was facing 8 felonies. That is when he teased the release of “On the Rvn.” After a shockingly quick two day stint in DeKalb county jail, news broke that Thug had been released. He then released his six song EP, which features names like 6lack, Jaden Smith, and Sir Elton John. Although it’s a short project, each song stands out on its own as an expression of genuine individualism, something Young Thug has mastered in his rap career. This project definitely shows a more relaxed side of Thug’s relentlessly energetic music. This is seen most in “High,” Thugs highly anticipated Elton John collaboration. “High” is a remix of Elton John’s “Rocketman,” that showcases Thug’s unique twang over the chorus and various samples of John’s classic tune. Although these two seem like a musical odd couple, this dreamy track could easily convince even the staunchest music purist, that Young Thug is a uniquely talented artist. This is arguably the most high-profiled and impressive artist Thug has ever collaborated with. For fans of Young Thug, this EP was a dream come true and if he can stay out of legal trouble, I think we can expect more of the brutally honest, and strangely captivating Young Thug music we’ve come to expect and enjoy. Kevin Gates has released his first full-length project after a year-long bid in prison on assault and weapons charges. Luca Brasi 3, the third installment of his popular Luca Brasi mixtape series, has been unleashed as an 18 song album containing no features; not that Gates needed any, as he stands on his own two feet on every track, reminding the rap world not to forget about the multi-platinum Baton Rouge rapper. In Luca Brasi 3, Kevin Gates is not afraid to sing love songs devoted to his wife, speak on the love he shares with his friends, and remind you he’s a terrifying street boss with a conviction that his low swaggering Louisiana accent commands. This is shown in the first and most popular track on the album, Discussion, which features Gates speaking on his time in prison and his confidence in his musical ability, over a hard, head-bobbing beat laced with rapid piano keys. The Carter V is the fifth installment of Lil Wayne’s highly regarded The Carter album series, but was planned to be released in 2014. Unfortunately the project suffered many delays at the hands of Birdman, Wayne’s label-head, with whom he’s spent the better part of the decade in court with over royalties and music related grievances. In June 2018, Wayne was released from his contract, and therefore able to complete and release The Carter V in the end of September. In that time, the album had become a legend, leaving rap fans wondering if Wayne will ever release this highly anticipated album. This album features 23 songs of Wayne decimating beats created by the biggest names in the industry, such as Swizz Beats, Metro Boomin, Mannie fresh and more. Most of his songs are featureless, but this album toted an impressive list of features including Travis Scott, Nicki Minaj, Kendrick Lamar, and Snoop Dogg. 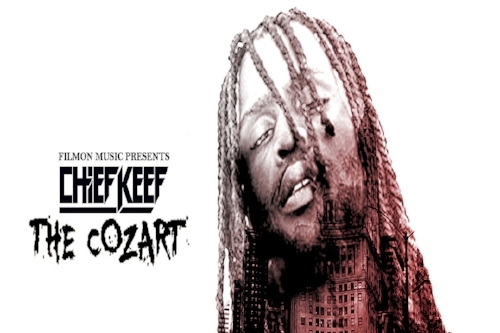 In reaction to Lil Wayne’s The Carter V, Chief Keef released his newest album The Cozart, which was first teased in 2015 as a response to Wayne’s long awaited album. This project is not for everyone, but for Keef fans The Cozart continues his hot streak through 2018 as his seventh project released this year. This album features futuristic beats that are sure to delight rap fans and showed an obvious attempt to attract a different audience. Quite a few of the songs on this album have EDM, R&B, and retro pop inspired sounds. For example, Soldier features a pop hook and upbeat synths, a sound that reminded me of an 80’s workout video, but still had me dancing around my apartment in awe of how this infamous trap rapper could produce a song this far removed from his usual sound. He also shows off his R&B side on his track Chiraq, which is assisted by soulful singing by Jenn Em about his violent home town of Chicago. He ends the album with two lackluster EDM remixes of Chiraq, and Same, two of the previous songs on his album. His attempt at versatility is welcomed, but not assisted by an obvious lack of EDM trends in the modern day. I personally enjoy Keefs autotuned crooning and aggressive lyrics, but his two EDM remixes probably could have been assisted by better DJs than the ones that appeared on the album.